We recently came out of the season of Advent, a time of hope and expectation that led us to the celebration of Christ’s birth. 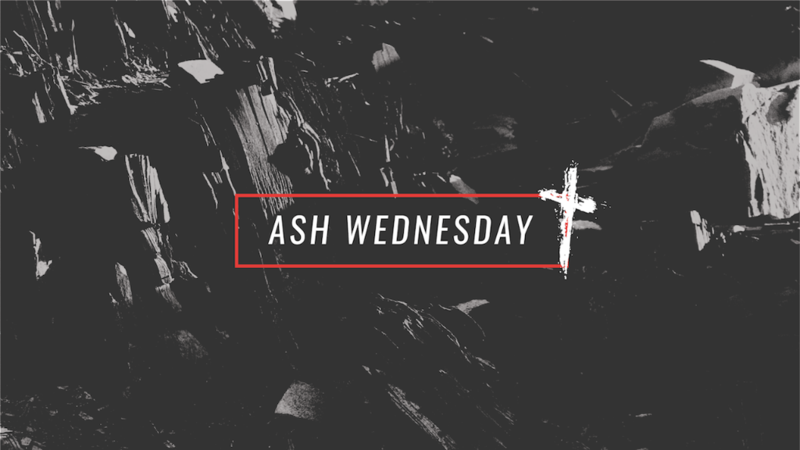 This month we begin the season of Lent, which officially starts on Ash Wednesday. Lent is a time of preparation and repentance during which we anticipate the death and resurrection of Jesus. It is this very preparation and repentance — aimed at grasping the intense significance of the crucifixion — that gives us a deep and powerful longing for the resurrection, the joy of Easter. 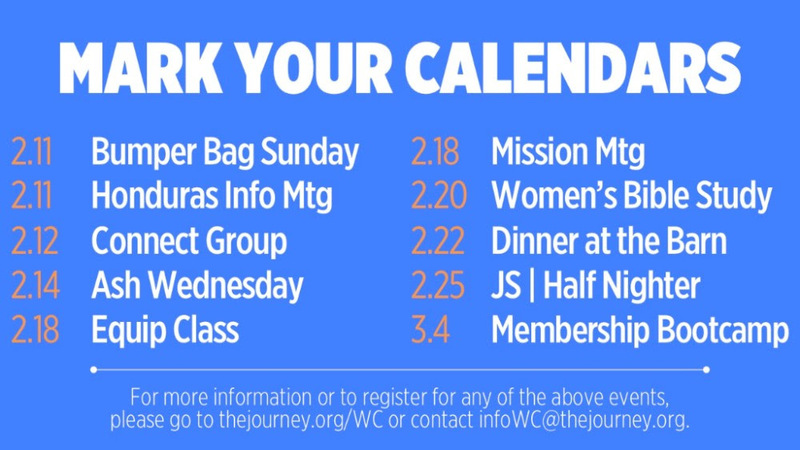 The Journey will be hosting morning services on Ash Wednesday, February 14th at Hanley Road, West County and Metro East and an evening service at Tower Grove. West County’s service will be held at 7:00am. Feel free to attend the service that works best for your schedule. For more times, directions and additional info, visit thejourney.org. We are excited to announce that our Journey Kids team is growing! Amy Childers will be joining our staff as the new Journey Kids Director, beginning February 12th. Amy comes to us with experience leading in various children’s ministry settings. Most recently, she has served as the children’s director at a church in South Carolina and she is excited to be “coming home” to St. Louis. Amy used to live in St. Louis and still has family in the area. While she has enjoyed getting to know other parts of the country, Amy has had an increasing desire to return to the city she loves. I am excited for our church family to get to know Amy throughout the coming months. God is at work throughout our church. I constantly hear stories of people loving others well and reaching out to people in need. You are being the church and I am proud to serve alongside you. Join us at 7am at West County on Wednesday, February 14th, or swing by one of our other locations if that works better for your mid-week schedule. For all Journey service times & locations, visit our website.